The year was 1991. I had just “graduated” from the 8th grade. I was very excited for the upcoming vacation from school, and looked forward to the endless days of summer. I wasn’t one-week into my vacation when I injured my back significantly with a very trivial maneuver. Of course, I saw my doctor, who ordered x-rays. The x-rays were negative. That was the extent of his inquiry into my back problem. He chalked it up to growing pains. I was told to rest when it hurt, to take Aleve, and to apply ice or heat as needed. Fair enough. That was obviously the extent of his expertise in this area. The next 3 months would prove to be a battle against my back with ups and downs, but no real answers as to why I was experiencing such pain. By the end of the summer, I was doing pretty well, but I was required to wear a back brace through basketball camp, and wouldn’t soon forget the summer I had just endured. This is where my journey with back pain began. My back pain returned several times over the next 10 years, sometimes very significantly, and I still have minor flare ups from time to time. It wasn’t until I was attending physical therapy school in 2000 that I began to understand the true causes for my pain, and the solutions for resolving the problem. 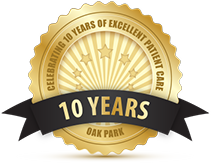 Over the ensuing 10 years I learned a great deal more regarding effective measures for eliminating back pain and improving the functionality in people’s lives. Interestingly enough, the solutions that I’ve discovered go far beyond just the realm of sports and orthopedic physical therapy, and venture into body awareness, nutrition, preventive measures, and alternative pain relief treatments such as integrative dry needling. I often wonder how many others have been plagued by this problem for years without resolution. How many people continue to live in pain for which they feel there is no cure? I offer this blog series in the hopes that I can shed some light on everyday strategies for keeping your body not only pain and injury free, but also disease free, and more. I would like this to be an open forum for sharing life challenges, success stories, techniques for healing, and ideas for maintaining and overall healthy lifestyle. The reason this blog series is called Bad Back, and Beyond, is because this is where I started on my journey of self-discovery for becoming more aware, more knowledgeable, and better prepared for the ups and downs that life can so often throw at us. That being said, I introduce Bad Back and Beyond. I truly hope we can discover simple solutions for common problems that will allow us to realize a more complete level of health and well-being.